Google has made its new Play Music All Access subscription music service available in Australia, following a worldwide launch back in May. The company flicked the switch on the music service in Australia and New Zealand today, two months after it was made available for the US market at Google's annual I/O conference in San Francisco. Google Play Music All Access is a streaming music service that works like existing competitors Spotify and Rdio, allowing users to stream songs on-demand to a computer or Android device. It will cost Australian users $11.99 per month, though users who sign up to the subscription based service by Wednesday, 31 August will only pay $9.99 per month. A 30-day free trial of the service is available to all Australian and New Zealand customers. Like other streaming music services, Google Play Music All Access lets users add tracks to their library and download them for offline use. A radio service that creates a playlist based on a selected song, album, or artist is also available. 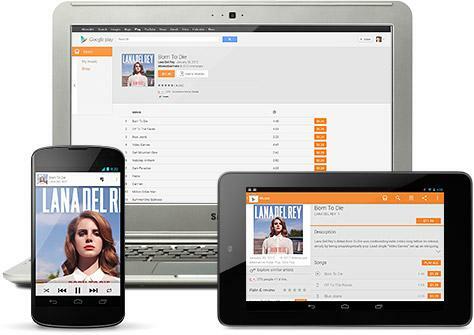 The Google Play Music All Access service on the Web. Other features of Google Play Music All Access include a recommendation service that will suggest new music to listen to, the ability to see what track is playing next and a playlist that combines local tracks and tracks available for streaming. 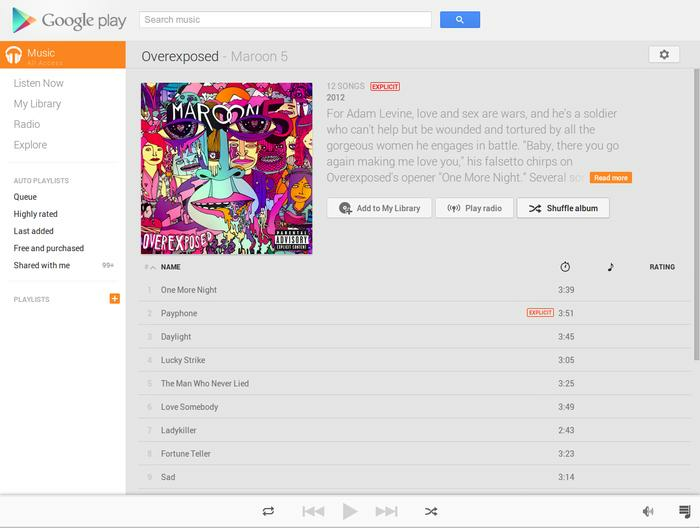 The Google Play Music All Access service is part of Google's existing music store for Google Play, called Google Play Music. That service, which allows users to download and purchase music from the Google Play store and upload their own personal music collection to store in the Google Cloud, only launched in Australia in April, almost a year and a half since it made its debut in the US.